Jake Arrieta, shown in an earlier spring-training appearance, ended the Phillies time in Clearwater on a high note. CLEARWATER, Fla. -- It’s about to get real. 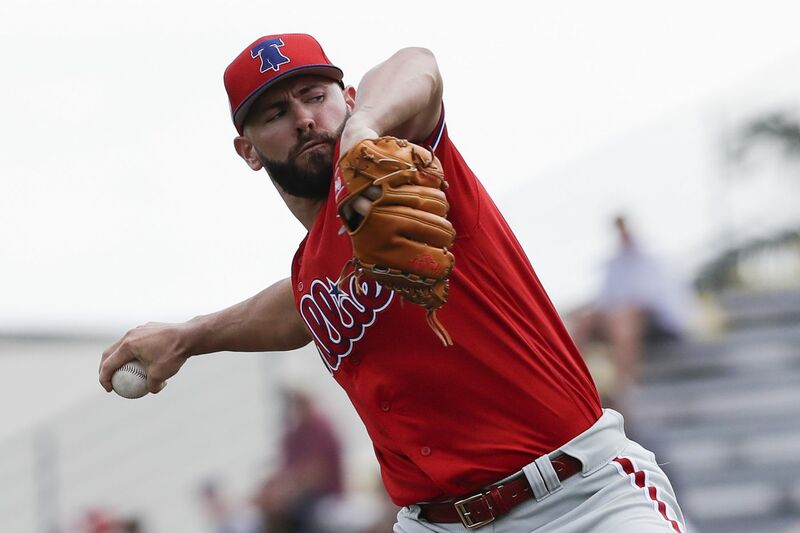 Jake Arrieta tossed six solid innings Monday and the Phillies punctuated spring training with a 3-2 victory on a walkoff solo home run by Malvin Matos, a 22-year-old outfielder called up from minor-league camp to spend the day with the big-league team. The Phillies finished the spring with a 14-14-3 record, but that hardly matters. They emerged from Clearwater with a mostly healthy roster, including first baseman Rhys Hoskins, who returned to the lineup and got two plate appearances after missing a week’s worth of games with a sore left shoulder. All players measure spring-training results differently. Arrieta took a positive out of getting Rays outfielder Tommy Pham, a nemesis throughout his career, to ground out twice. Arrieta is lined up to make his first start against the Braves on Sunday night. With Hoskins back, the Phillies started their projected opening-day lineup for the first time. Odubel Herrera, Cesar Hernandez and Maikel Franco, all of whom batted in the top half of the order over the past few years, are slated to hit in the No. 6-8 slots, respectively. Franco hit a two-run homer in the second inning against Rays starter Wilmer Font. Matos spent most of last season on the disabled list, playing only three games for low-A Lakewood. After the game, a fan who retrieved the home-run ball gave it to Kapler to pass along to Matos. Right-hander Nick Pivetta got his final tune-up in a minor-league game. He struck out 10 batters in five innings, plus one batter in the sixth. Pivetta will start Saturday in the season’s second game.